As you know, I’m a stickler about not wasting. Every time I attend an event where food is served, I take home all of the unwanted leftovers that would have otherwise been tossed in the garbage. This practice keeps my creative juices flowing and hard earned greenbacks in my bank account. At my last potluck, hoagie rolls were among the items left behind. 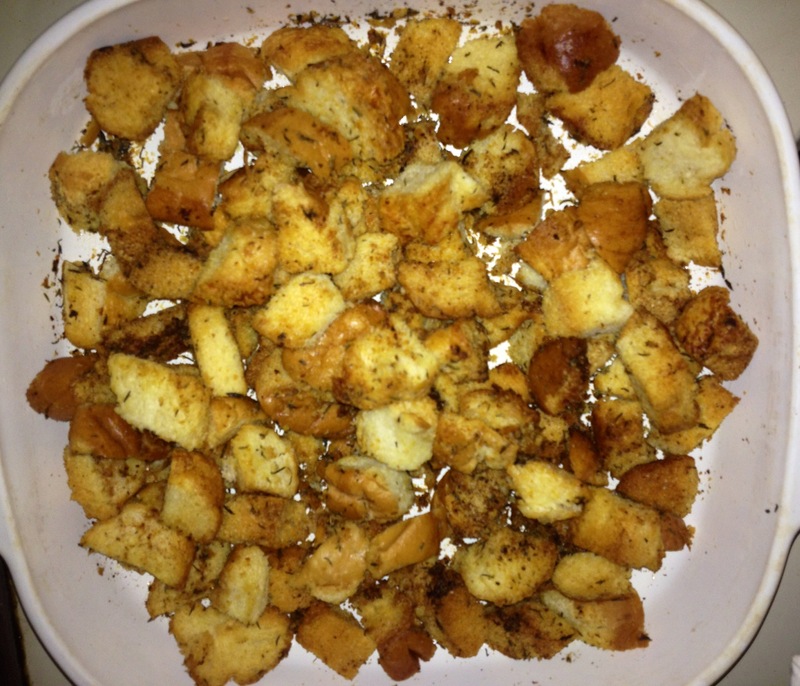 Since I have plenty of salad fixings in my home, I turned these rolls into croutons! First I cut the rolls into bite-sized pieces then transferred the pieces into a large bowl. Next, I generously poured olive oil into my bowl and added thyme, garlic powder, onion powder, and nutritional yeast. Then I tossed everything together until all of my bread pieces were coated in the oil and seasonings. My oven was already on at 350 degrees F because I’m baking granola so I just spread my croutons out on a cookie sheet and stuck them in the oven to bake. After 10 minutes, I mixed the croutons and continued to bake until they were crisp the way I like them. I am allowing them to cool in a glass jar before I seal the jar and store them. What do you do with leftover bread? 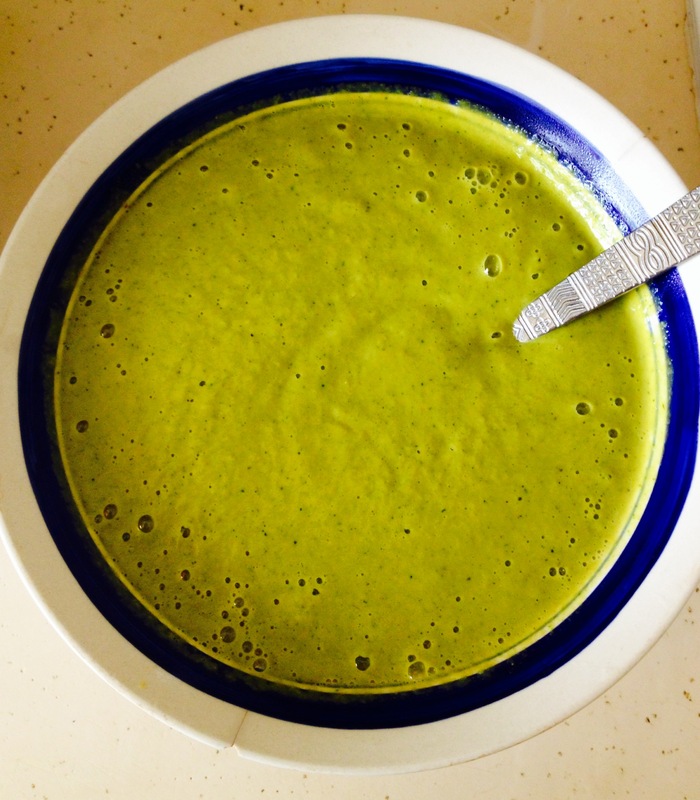 Chicken Soup: Mmm Mmm Good! In stock pot, sauté onion, peppers, and garlic in Olive Oil for about 2 minutes. Add water, chicken, salt, pepper, cayenne, thyme, oregano, and bay leaf and allow to come to a boil. 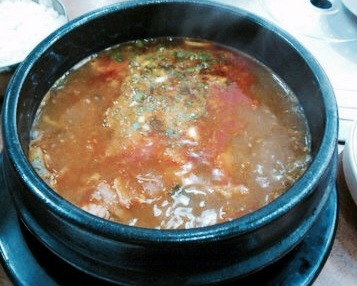 Once boiling, cover pot and lower heat. Simmer until the meat separates from the bone.